Where are toxic gases found? Toxic gases in our environment can be silent killers. Whether these are from natural or man-made sources, the risk they pose is a serious one and the ability to be able to quickly and effectively identify these gases is vital to the safety of those who have been exposed. The danger with many of these toxic gases is that whilst also being deadly, they are often odorless and colorless, which make them very hard to detect without expensive and specialist equipment. Gases released by volcanic eruptions such as sulfur dioxide and hydrogen sulfide can create deadly toxic fumes in the nearby area, which can hamper first responders from safely going into an area to rescue people in affected regions. Industrial accidents can also result in the release of many different gases. These gases can cause a range of problems from minor irritation of the airways from a gas such as ammonia, to much more serious instances of cancer developing in the lungs or elsewhere in the body from the inhalation of radioactive gases from accidents at nuclear reactors. Whilst environmental sources and accidental exposure are of course worrisome, even more concerning is the fact that toxic gases have also been used in warzones and terrorist attacks as a form of chemical warfare. One such example is the deadly gas Sarin. This is a man-made substance which was originally developed as a pesticide, but is now more commonly used as a nerve agent in wars or terrorist attacks. It is usually released during airstrikes using chemical bombs over affected areas, but has also been released in liquid form during subway attacks in Japan. Sarin is colorless and odorless yet can cause a huge amount of damage when inhaled, ranging from mild symptoms such as dizziness, to ultimately death through breathing failure. Anyone within an affected area is in danger of side effects from exposure to toxic gases, which can sometimes diffuse over a large area. Additionally, soldiers and aid workers in warzones and first responders to the sites of industrial accidents or volcanic eruptions all require the ability to be able to check the area for the potential presence of dangerous, toxic gases. Whilst we do currently possess the technology to detect these gases, these gas sensors are heavy, cumbersome and often difficult to operate. What is needed is a lightweight, cheap and easy to operate detector, which exactly what researchers at the Massachusetts Institute of Technology (MIT) have been working on developing. The team have been collaborating with the National Institute for Materials Science (NIMA) and International Center for Materials Nanoarchitectonics (MANA) in Japan. The sensor they have developed is ground-breaking in many ways, not least in that it is the size of a credit card and weighs less than a piece of paper. A key difference to achieving these new lightweight sensors is that they use carbon nanotubes which have been chemically altered so that their conductivity changes when exposed to a target gas. The sensor is made of an electrical circuit containing carbon nanotubes, which are usually highly conductive. In this instance, the carbon nanotubes are modified, by being wrapped in insulating material which prevents them from conducting. When exposed to toxic gases, the insulating material degrades, thereby exposing the carbon nanotubes and allowing them to complete the circuit. This then sends a signal to a smartphone equipped with near-field communication (NFC) technology. The sensors are designed to be sensitive to electrophilic substances, or those that attract electrons. Many of these substances are known to have a high level of toxicity and are therefore often used for chemical weapons. Additionally, these sensors have demonstrated an impressive level of sensitivity to these toxic gases, one usually only reached by expensive lab-based equipment as opposed to sensors previously employed in the field. The sensor could detect 10 parts per million of the target toxic gas in a timeframe of around five seconds. As impressive as their sensitivity is the incredibly low cost of these sensors, coming in at around a nickel per unit. The low cost is in part due to the fact that they only require a very small amount of carbon nanotube – in fact around four million sensors can be made from only one gram of carbon nanotube. When will we see these sensors in the field? The next step in this exciting development for the detection of toxic gases is to test the sensors in the field, as opposed to in the laboratory. These gases are generally harder to detect in natural conditions, due to the lower concentrations. 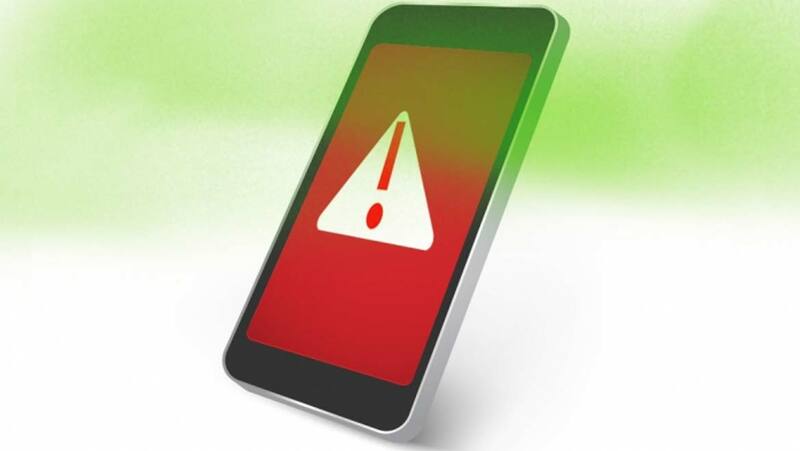 The team are also hoping to develop a complementary smartphone app which could provide detailed information regarding the concentration of gases as well as simply alerting users to its presence. In an age where it appears that chemical attacks utilizing these toxic gases are on the rise, it is good to know that work is being done in order to provide an easy to use, cheap and accessible detector to protect us from these deadly gases.